So we keep rolling on and these past few days have seen us gaining a little bit of traction in the world of unforgiving media responders. The haters have seemed to have settled down a bit at they become more informed and I’m constantly in the process of keeping the KickStarter updated and questions answered as fast as I can get to them. I’ve had over 500 emails in 3 days…I kinda feel like Jim Carey in “Bruce Almighty” when he’s answering prayers via email. Anyway, I spent a good part of the morning getting some more professional pictures in place, which required me to make a cheap light box so I could get the shots I needed. They came out pretty well and most will be on the KickStarter page shortly. The pic up top is an example of what I’ve been doing today. So, we’re gonna keep hitting this hard and will be pushing every second of every day to get to our goal. It’s up there, but I know there are enough people out there that want this to succeed and I hope it’ll get there in time! More updates as I have them, but stay tuned! “Haters” is a negative word and not what I think you actually mean; all the comments in the publicity I have seen are either irrelevant, or some which are questioning missing aspects of the project like a touchscreen on PS4, etc; which are valid queries to at least ask. That doesn’t make the posters “haters”, just have an alternative viewpoint based on their understanding of the project result. IMO. It’s not those I refer to when I use the term “haters”. The ones I refer too are the blatant and otherwise uneducated commentators who, rather than express their difference in opinion in a constructive and positive way, they simply decided it’s more fun to say they are reporting us for being thieves or hope that our asses get sued. I was simply pointing out that the general “garbage” of the Internet is slowing down. Hahaha, you almost had me there! 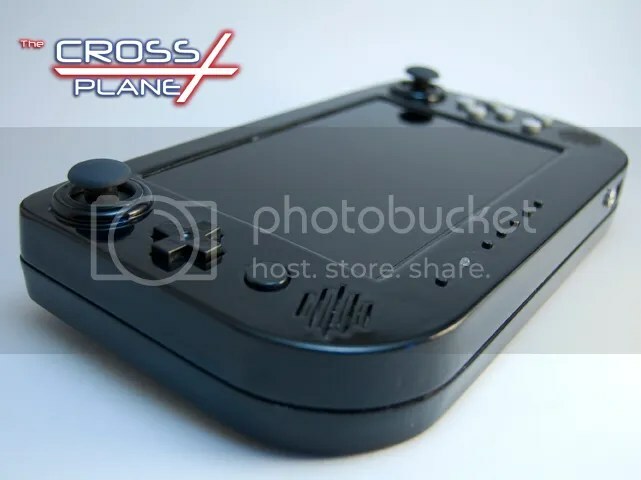 I really like the idea of this but hate the location of the shoulder buttons, is there any chance this will be reviewed before the final product? Of course, as we’ve stressed, this is just a prototype. It was a unit we built to see if the concept worked and now that we know it will, we can work on a redesign, but we’ll only be able to really get into that if/when we get funded. I think this is a GREAT idea, I hope it gets funded!!! Other than the above statements…. I think this is an awesome piece of hardware. I can’t wait to have one in my hands!!!! Wish I had teh cash to fund you guys!